The Most Reverend Alfred A. Schlert was born to Alfred and Marylou Schlert in Easton on July 24, 1961, and was educated at St. Jane Frances de Chantal Elementary School, Easton and Notre Dame High School, Easton. He prepared for the Priesthood at St. Charles Borromeo Seminary, Philadelphia, the Pontifical Roman Seminary, Rome and St. John Lateran University, Rome. He was ordained a priest at the Cathedral of Saint Catharine of Siena, Allentown on September 19, 1987 by The Most Reverend Thomas J. Welsh, Second Bishop of Allentown. 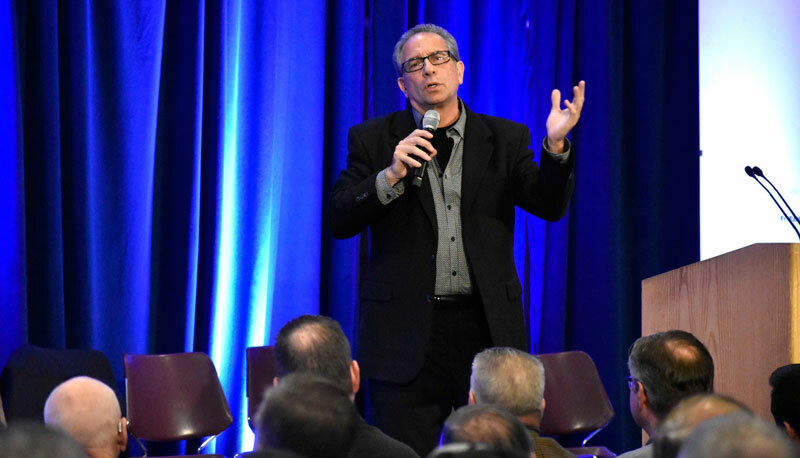 Three-time Grammy nominee, Marty Rotella has been bringing the Gospel message of Jesus’s love with “Spirit Power” in forty-three states in addition to Australia, Europe, Central and South America and Canada. With over thirty seven years of ministry through teaching and motivational speaking, he has presented in churches, schools, conferences, and prisons: all specifically intended to recharge, inspire and fire-up his audience. Marty shares the love of Jesus through the ministry of “Spirit Power” to a large and diverse audience throughout the country and world-wide. “Spirit Power” is music created to feed the soul. It is worship, prayer, reflection and healing: a way to help the inner-self encounter the love of Jesus. He is a member of St. Francis of Assisi Parish in resides in Ridgefield Park New Jersey. Father Bernard Ezaki was born in Allentown. Father began his education at the Cathedral grade school and then went on to attend William Allen High School, Moravian College, Harvard Divinity School, and ultimately St. Charles Borromeo Seminary. Father Ezaki was ordained a priest on June 4, 1988. After spending one year as an assistant pastor at St. Peter Church in Coplay, he served twenty-four years as a professor of theology at Bethlehem Catholic High School. He was named an assistant pastor at the Cathedral in 2013 and at St Jane Frances de Chantal Parish in 2015. Peter Herbeck is the vice president and director of missions for Renewal Ministries. 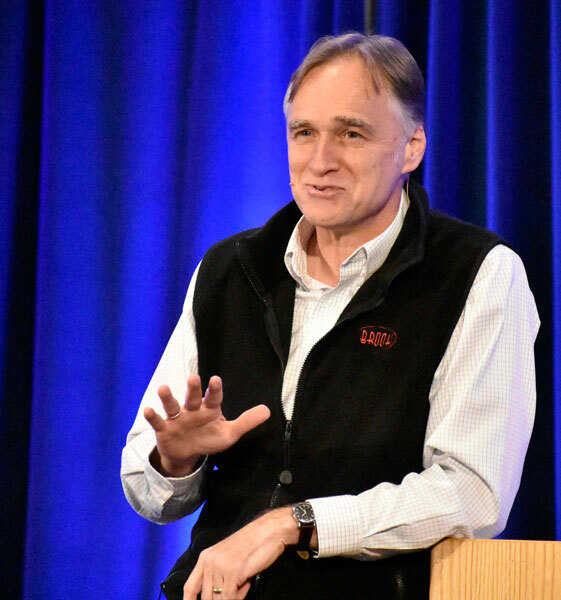 For more than thirty years, he has been actively involved in evangelization and Catholic renewal throughout the US, Canada, Africa, and Eastern Europe. Peter is a co-host for the weekly television programs The Choices We Face and Crossing the Goal. He also hosts the daily radio show Fire on the Earth. Peter is a frequent conference speaker, has authored When the Spirit Comes in Power and When the Spirit Speaks, and has produced CDs and booklets about discipleship and life in the Spirit. Peter is involved with i.d.9:16, an outreach to Catholic young adults sponsored by Renewal Ministries. Peter and his wife Debbie have four children and reside in Ann Arbor, Michigan. Fr. Stan Fortuna is one of the eight founding members of the Community of the Franciscan Friars of the Renewal established in 1987. Prior to his conversion, Father Stan was a professional jazz musician. Father Stan worked in Spanish Harlem during his formation years and discovered and developed an affinity for this art form of rap using it and other musical genres to reach out to the less fortunate and beyond. In addition to having a Masters of Divinity from St. Joseph's Seminary, Father also has a Masters in Theology (Sacred Scripture) from the Angelicum (The Pontifical University of Saint Thomas Aquinas) in Rome. Father has released over 20 CDS’s as well as DVD’s and books. He travels internationally to preach and give concerts with proceeds going toward the order’s work with the poor. El Obispo Nelson J. Pérez, es el undécimo Obispo de la Diócesis de Cleveland, Ohio. Nació en Miami, Florida y se crió en New York Oeste, y Nueva Jersey. El Obispo Pérez obtuvo una licenciatura en psicología de la Universidad Estatal de Montclair antes de ingresar al Seminario St. Charles Borromeo en Filadelfia, donde obtuvo el título de Maestría en Divinidad y Maestría en Artes en Teología. Se desempeñó como vicario parroquial, subdirector de la Oficina para los Hispanos Católicos, Director del Instituto Católico para la Evangelización y luego pastor. El Papa Benedicto XVI lo nombró Obispo Auxiliar de la Diócesis de Rockville Center en Nueva York en 2012, donde sirvió hasta su nombramiento en 2017. Como parte de la Conferencia de Obispos Católicos de los Estados Unidos, el Obispo Pérez es miembro del Comité de Obispos de Diversidad Cultural, Presidente del Subcomité de Asuntos Hispanos, y es el obispo principal de Encuentro V para la Región II Episcopal. El Diácono Ramón Lima nació en Habana, Cuba. En 1954 recibió un diploma de licenciatura y estudió para convertirse en contador público en la Universidad de La Habana. Se casó y emigró a los Estados Unidos en 1960. En 1977, fue ordenado en la primera clase de diáconos para la diócesis de Brooklyn. En 1982, comenzó a trabajar en la formación de diáconos en el programa español y desde entonces ha sido profesor de diversos temas. Diácono Lima cofundó la Asociación Nacional de Diáconos Hispanos y perteneció a su Junta de Directores. Él fundó un equipo móvil que fue a diferentes diócesis ofreciendo retiros y talleres. Ha llevado a los peregrinos a la Tierra Santa 43 veces y a los Santuarios Marianos de Europa occidental. Ahora jubilado, publicó su primer libro Ensayos. Él vive en Queens NY. 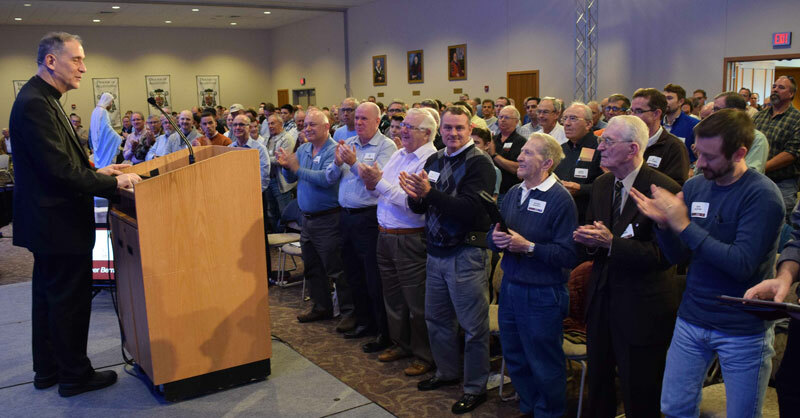 Peter Herbeck, vice president and director of missions for Renewal Ministries, speaks Nov. 4 during the Diocese of Allentown’s Spirit 2017 Men’s Conference at DeSales University, Center Valley. 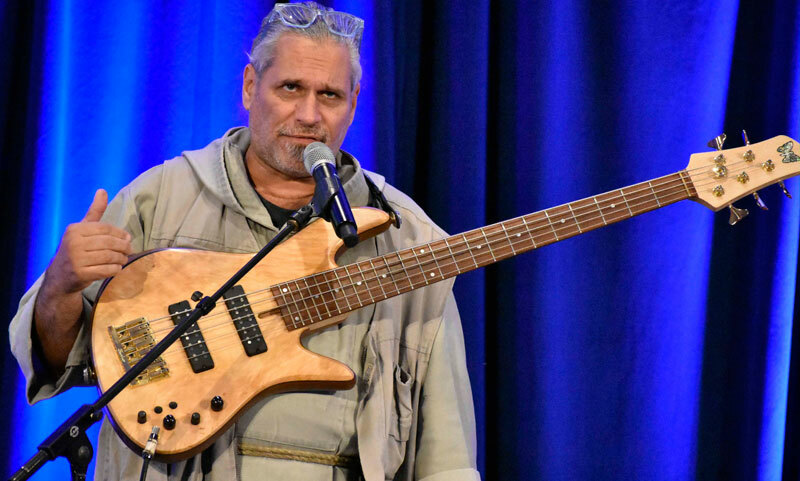 Marty Rotella, song writer and musician for Spirit Power, delivers one of the keynote presentations during the conference. 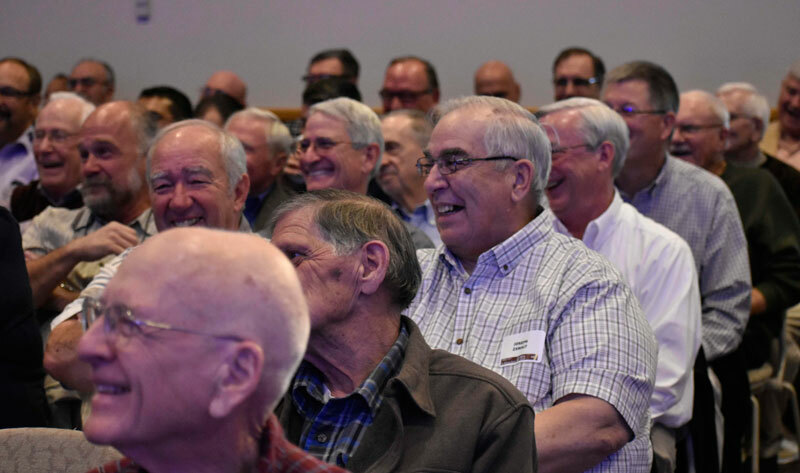 Father Stan Fortuna, an international speaker and evangelical musician who founded Francesco Production, shares his music at the men’s conference. 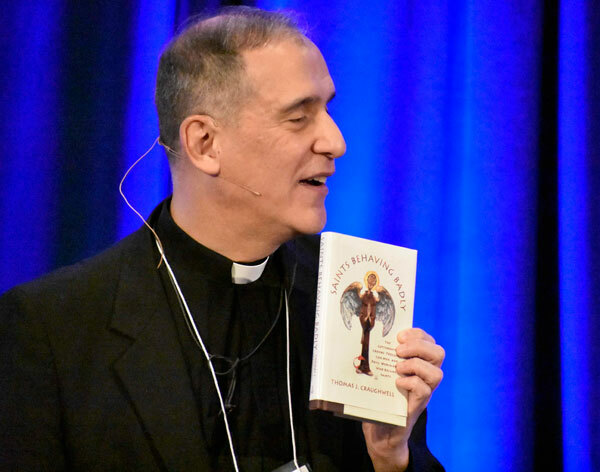 Father Ezaki suggests the book “Saints Behaving Badly” to men participating in the conference. Bishop of Allentown Alfred Schlert delivers the homily during Closing Mass. 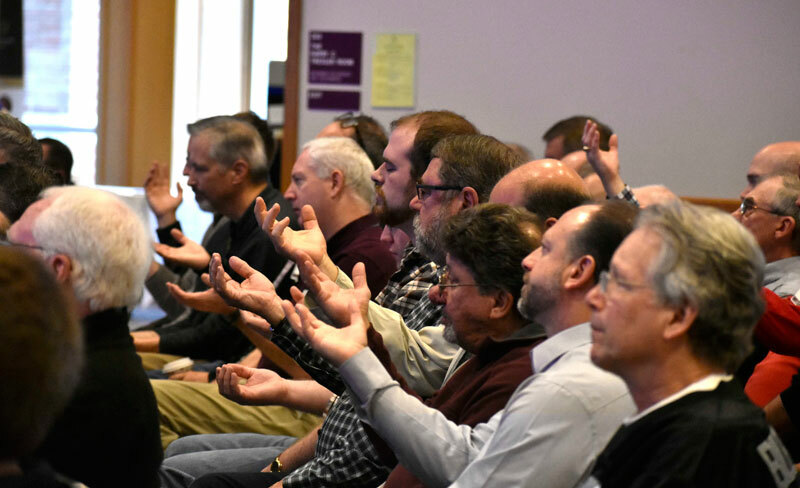 Men pray together by asking the Holy Spirit for greater guidance. 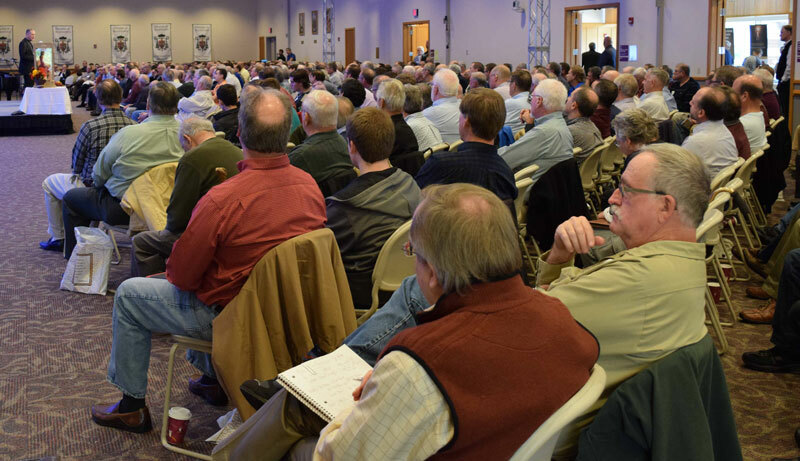 An estimated 600 men listen to a speaker at the conference. 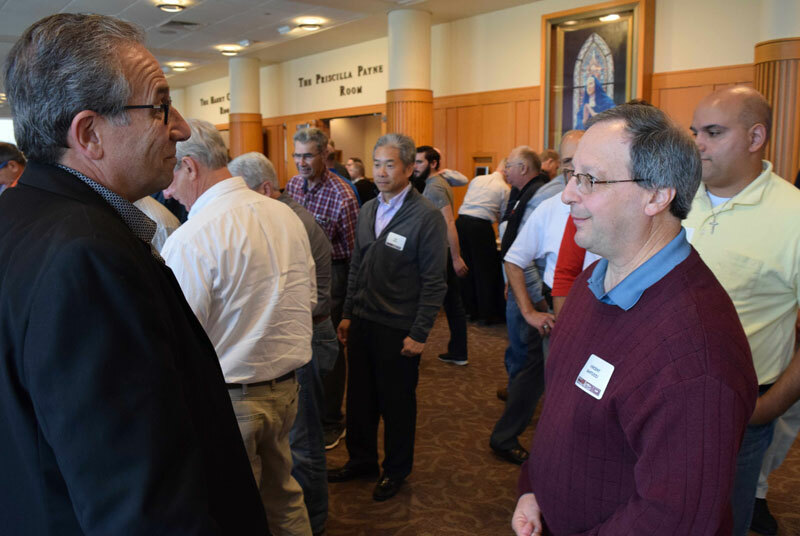 Speaker Marty Rotella, left, talks with Vincent Santvcci, parishioner of Assumption BVM, Northampton, during one of the conference breaks.